Women’s Blazin Roxx Western Sunglasses. Take on that summer sun in these fun Blazin Roxx sun glasses from M&F Western. 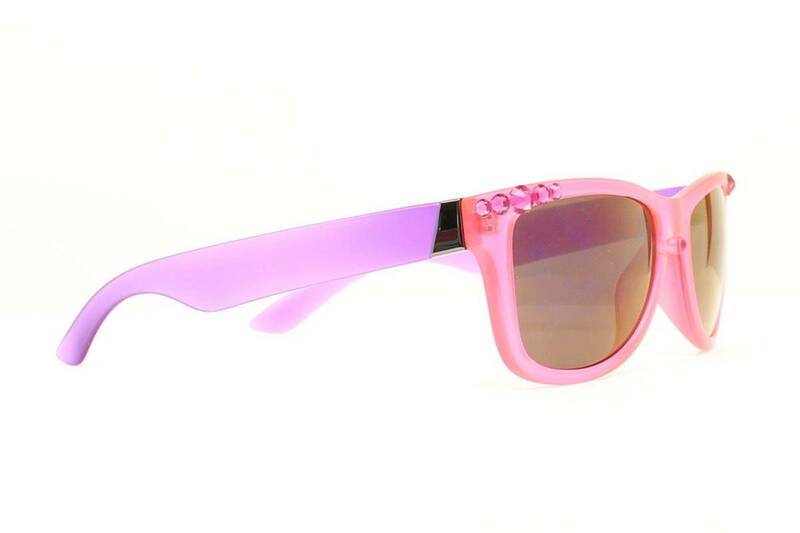 Features unique pink face and purple side frame with black lenses; and hot pink crystal accents. Rounded frames with gradient lenses fit comfortably while offering UV 400 protection. Choice of BLACK or BROWN. These fashionable sunglasses feature a black tortoise frame and black lenses. The sides have a round silver concho with center gold cross and clear rhinestone accents. UV 400 Protection. Features unique leopard frame with black lenses; and topaz accents surrounding front lenses and along the sides. Features black frame and black lenses; crystal accents and stunning round crystal side stone with just the right bling. These fashionable sunglasses feature a brown leopard print frame and brown lenses. Sides have topaz and brown crystals for lots of sparkle. UV 400 Protection. Features leopard frame and black lenses; crystal accents and stunning crystal side spur star with just the right bling. These fashionable sunglasses feature a black frame with black lenses. Sides have tons of detail with a cutout floral hibiscus pattern. There is also a silver diamond shaped concho and clear rhinestone accents for lots of sparkle. UV 400 Protection. Features black frame and black lenses; crystal accents and stunning round side purple crystals with just the right bling.